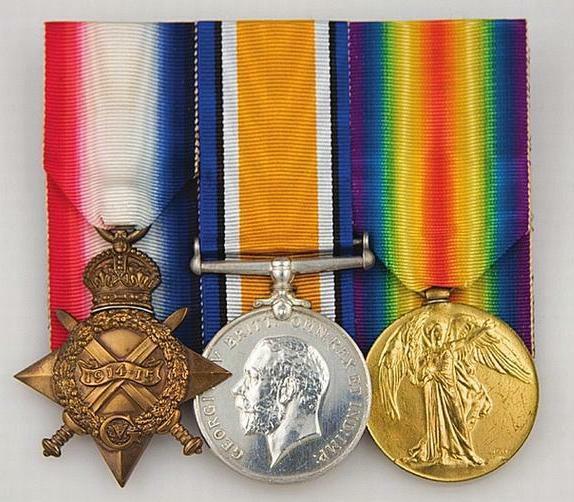 Private Leonard Driver was entitled to three medals; the 1915 Star, the British Victory Medal and the British War Medal. The 2nd Battle of Ypres continued into May 1915 and the 8th saw the opening of the Battle of Frezenberg Ridge. The 28th Division, which included the 1st Suffolks and 2nd King’s Own Royal Lancasters, were in the front line around the village of Frezenburg. Despite repelling the early attacks, the 2nd Kings Own was eventually overwhelmed and over 700 men were missing; among them was Private Leonard Driver from Hadleigh. 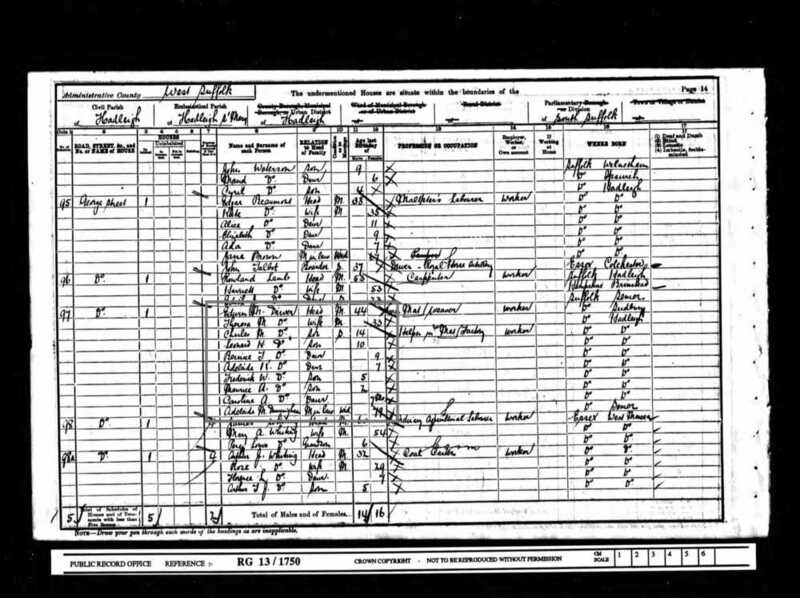 Leonard Harry Driver was born in 1890; by the time of the 1901 census he was one of seven children living with their parents in George Street. Sadly is mother died in 1903 and his father two years later. When the parents died, the family were split up. The three girls were sent to different homes for girls in the south of England. Leonard and his two younger brothers (Frederick & Maurice) were sent to a charity boy’s home in Chipping Norton in Oxfordshire. Only the eldest brother Charles remained in Hadleigh. Charles who was 18 when his father died, moved in with his uncle Harry Dunningham at 13 Long Bessels. 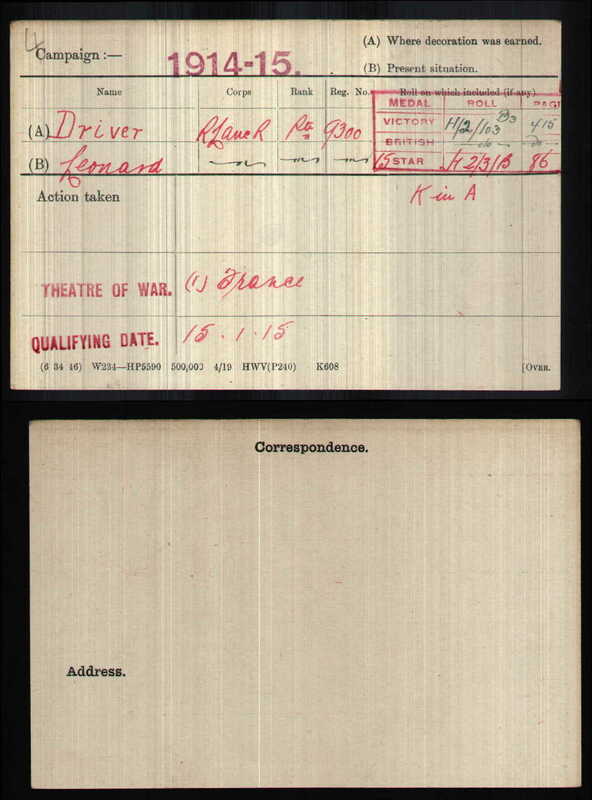 It is not exactly clear what happen to Leonard between 1905 and 1915, but what we do know is that he entered the theatre of war with the King’s Own Royal Lancaster Regiment on 15 January 1915 and served on the Ypres Salient until he was killed in action. The German assault on the 8th May was particularly fierce and completely overwhelmed the King's Own. 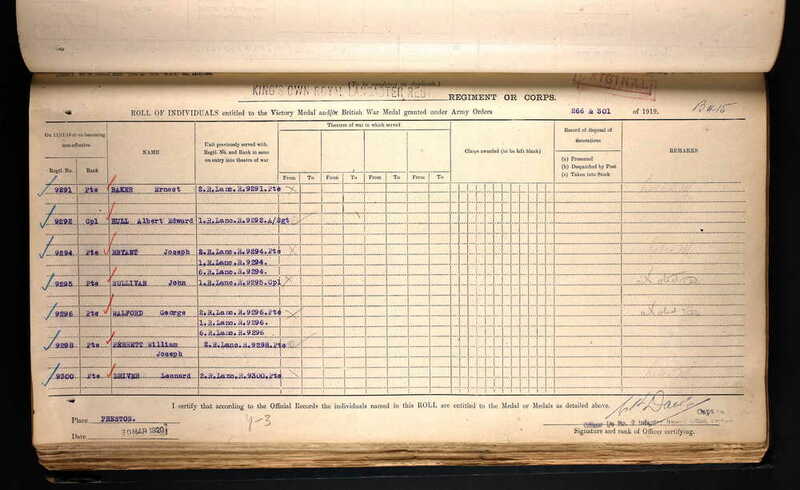 Casualties were very high which is evident from the entry in the Battalion war diary from the 9th May. Over 700 other ranks were missing, the vast majority would have been killed in action. 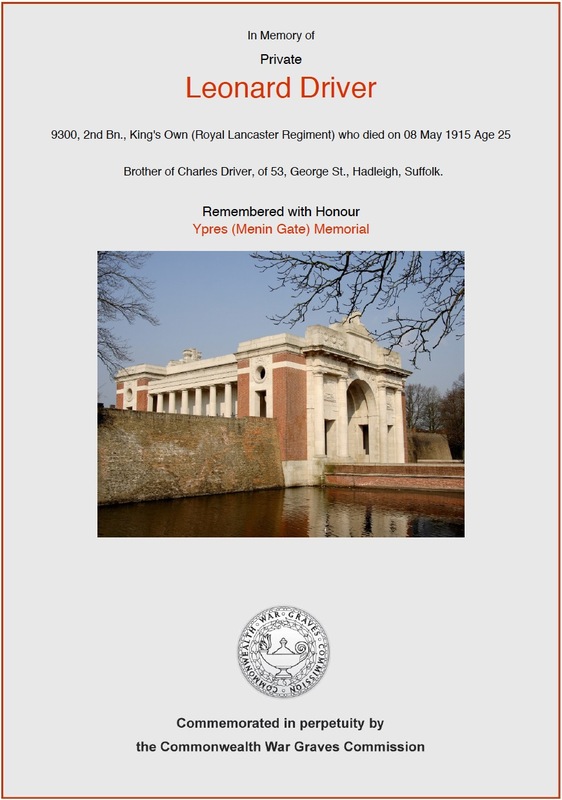 Leonard's body was never found, or if it was, it was never identified and so he is commemorated on the Menin Gate in Ypres. It is thought that Leonard's two brothers at the home, were sent to work on a farm owned by the home in Canada. They both returned to Britain to join the Army and fight and brother Maurice was also killed. We hope that this page has been able to tell the story of Leonard Driver. If you know of any information which might help to add to the story then please get in touch.